The French philosopher Jacques Ellul articulated the concept of the technological society in 1954 to describe the deeply interwoven relationship between social, cultural, economic, political and technical factors that exists in mature industrial societies. Some commentators have seen a continuing role for this concept pertinent to understanding the broad social dynamics of technological change. 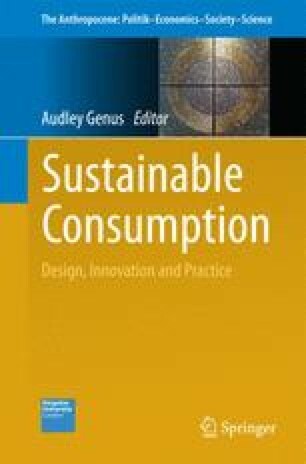 This chapter draws on current commentary to investigate the implications for change in existing processes of production and consumption through sustainable innovation. It reviews current thinking in the social studies of technology to identify the ways in which discourses of sustainable innovation might not transform socio-technical systems in the manner conceived by proponents. It identifies how technical characteristics relating to sustainable performance of a particular artefact could fail to transfer from artefact to system or from innovation to widespread adoption and use. In conclusion, it is suggested that calls for sustainable innovation represent part of the ‘business as usual’ operations of a technological society. Anne-Marie Coles, Ph.D., Senior Lecturer in Strategic Management, University of Greenwich, London, UK; Email: A.Coles@gre.ac.uk. Cameron, D., 2013: Green Economy. Speech Address at the Launch of the DECC’s Energy Efficiency Mission; at: http://www.businessgreen.com/bg/opinion/2241323/camerons-green-economy-speech-in-full (8 July 2014). Coles, A-M.; Harris, L., 2006: “Ethical Consumers and E-commerce: The Emergence and Growth of Fair Trade in the UK”, in: Journal of Research for Consumers, 10; at: http://www.jrconsumers.com/. Kovalsky, N.; Haluza-DeLay, R., 2011: Homo-Energeticus: An Ellulian Analysis of the Alberta Tar Sands; at: http://www.academia.edu/1216875/Homo_energeticus_Jacques_Ellul_on_the_Alberta_Oilsands (7 May 2013). Roden, D., 2011: In and Out of Control: Self-augmenting and Autonomous Technique; at: http://www.academia.edu/296976/In_and_Out_of_Control_Self-Augmenting_and_Autonomous_Technique (7 May 2013). Scott-Ruse, M., 2005: “Technology and the Evolution of the Human: from Bergson to the Philosophy of Technology”, in: Essays in Philosophy, A Biannual Journal, 6,1; at: http://commons.pacificu.edu/eip/vol6/iss1/27 (7 May 2013).